FutureTrade, a provider of electronic equity and option execution services, yesterday announced a strategic partnership with Jefferies, an investment bank and institutional securities firm, in which FutureTrade's electronic trade execution management system (EMS) will be offered to Jefferies' electronic trading, algorithmic and prime brokerage customers. FutureTrade's platform will serve as a trading front-end for Jefferies' Electronic Trading Solutions (JETS) product and Quantitative Execution Strategy (QES) algorithms. FutureTrade, a provider of electronic equity and option execution services, yesterday announced a strategic partnership with Jefferies, an investment bank and institutional securities firm, in which FutureTrade’s electronic trade execution management system (EMS) will be offered to Jefferies’ electronic trading, algorithmic and prime brokerage customers. FutureTrade’s platform will serve as a trading front-end for Jefferies’ Electronic Trading Solutions (JETS) product and Quantitative Execution Strategy (QES) algorithms. 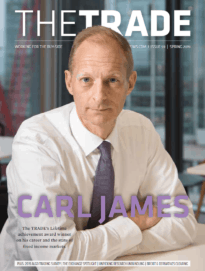 “The addition of FutureTrade’s EMS enhances Jefferies overall trading capabilities and compliments our suite of proprietary algorithmic trading strategies which include features specific to small- and mid-cap securities,” comments Ross Stevens, co-head of equity products, Jefferies. 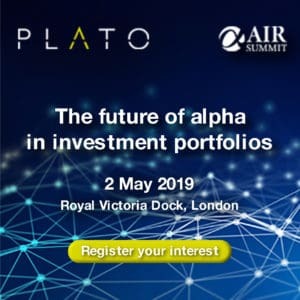 “With the accelerated adoption of electronic trading by institutions, sophisticated electronic trading tools are essential components for institutional brokerages to compete in today’s market,” adds Jim Kwiatowski, executive vice president, FutureTrade. As an integral part of Jefferies’ electronic trading offerings, FutureTrade’s functionality allows JETS users to easily employ a wide variety of complex direct market access and algorithmic trading strategies. Jefferies’ Quantitative Execution Strategies (QES) algorithms offered through JETS’ front end provide greater control and flexibility, according to the firm. Algorithmic strategies available from Jefferies include VWAP, volume participation TWAP, strike, seek, post, impact management server (IMS), corporate buyback, and custom trading strategies.